NEW YORK (VG) When Savoy in June are collecting the best songs of their career on one album, the married couple hopes that it will function as a boomerang of karma. Because the new single is called “Karma Boomerang”, and is one of three new songs on Savoy Songbook Vol. 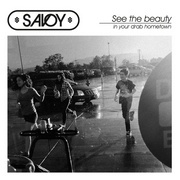 1 – a double CD with an ordinary “Best of”-disc and a second disc with some of Savoy’s old hits completely re-recorded. The expression “Karma Boomerang” hints at the text on the tip jar at their regular café Grey Dog in Soho, a few blocks away from where they live. – I feel that we have released enough albums now to sum up our career, but we chose to do it this way. 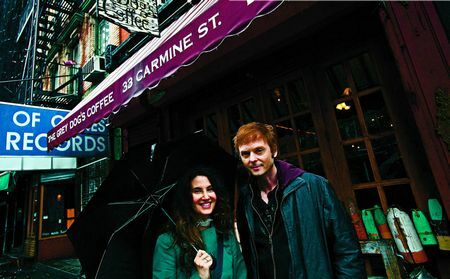 Savoy has always been a studio band – some may have seen us as weird because of that – but it felt natural to re-record some of the songs, Paul Waaktaar-Savoy explains over a classic Grey Dog coffe cup, where the cream pattern forms a dog paw. – I guess we should have been performing everywhere, but as long as I’m in a-ha that proves to be quite impossible, he smiles, almost apologetically. The re-recorded songs were done in a studio on Lower East Side with Michael Ilbert as producer. Lauren, who doesn’t have a second band and is therefore the musically most inactive of the Savoy couple, is full of admiration for her husband’s ability to reset himself to garage-band level after an a-ha tour where absolutely everything has been perfectly planned. – As long as I’ve been married to Paul, success has never changed him. Paul refuses to let such a feeling sink in. He starts all over every time. “You can have it, but you can’t live it”, he use to say about success. And he is still saving the best songs for Savoy, Lauren smiles. 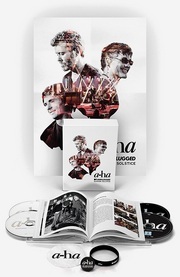 Paul Waaktaar-Savoy confirms that the three a-ha members have already been in the studio to work their way towards a new album sometime during 2008. – Intuitively I have a very good feeling. I think this can be very good, a surprisingly optimistic Waaktaar-Savoy says. He doesn’t hide the fact that it’s good to be just those three again. Too many people were involved the last time, he says, indirectly pointing towards among others manager Brian Lane, who left a-ha last year. – Both Morten, Magne and myself like to have our own things in addition to a-ha, but Brian Lane regarded side-projects as a threat – that they were actually a sabotage for the whole of a-ha, while we ourselves didn’t see it as a problem at all. Quite the contrary – we feel that it’s a strength for the band. Therefore I’m aware that a-ha isn’t an easy band to be manager for – a certain sensitivity is required, but that’s also a word that rarely fits in the same sentence as Brian Lane, Paul Waaktaar-Savoy says. From VG, 9. May 2007. By Stein Østbø. Photo by Thomas Nilsson. Drowzy pop magic from Mr. and Mrs. Waaktaar-Savoy. Savoy have always been standing in the shadows of two giants: a-ha is obviously one of them, their own debut single “Velvet” is the other one. Considering this, the married couple’s project may not always have received fair treatment, but one thing is certain: “Karma Boomerang” is better than most of the material that a-ha have included on their last few albums. The song is remarkably nice and safe, but also irresistibly ingratiating. It’s got both sun and ice cream in the face, and is bathing in a deliciously porous guitar sound which is topped by a charmingly quirky harmony song between Lauren and Paul. It won’t be fair if this one doesn’t get a lot of radio airplay in the coming months.